Customer satisfaction with best quality products at reasonable price is our main mission. 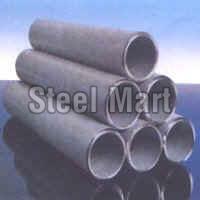 Alloy Steel Pipes provided by us are trustworthy and durable with ASTM, AISI EN Series grades and assurance of good performance. We are glad to invite you for a handsome deal at most competitive prices with us.